‘White goods’ is a term used to refer to fridges, freezers, cookers, washing machines and dishwashers. In total they make up nearly half of all the electronic equipment we throw away. Appliances such as fridges contain CFCs and so they must be removed safely. If you have transport then you can take your old appliances to your local Reuse and Recycling Centre. Otherwise you should contact your local council to arrange a special bulky waste collection, they may charge you for this service. 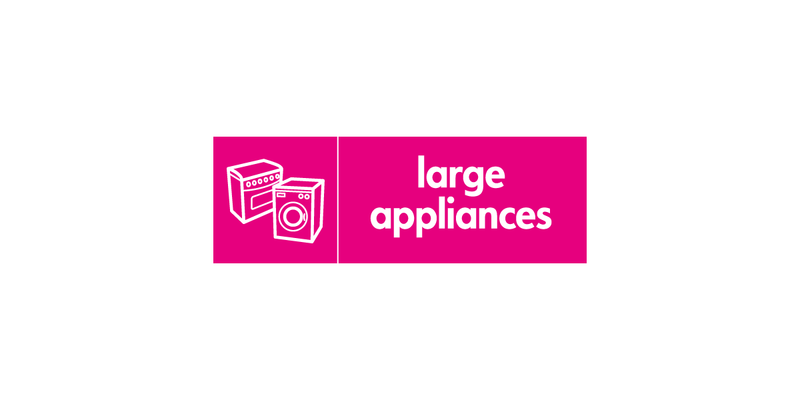 If your unwanted appliance is in good cosmetic condition (even if it needs repair) you can donate it to the Reuse Project (Rework) at the Smugglers Way Household Waste and Recycling Centre. The appliance will be repaired on site, if necessary, by engineers and local people undertaking work experience for resale by local charities.